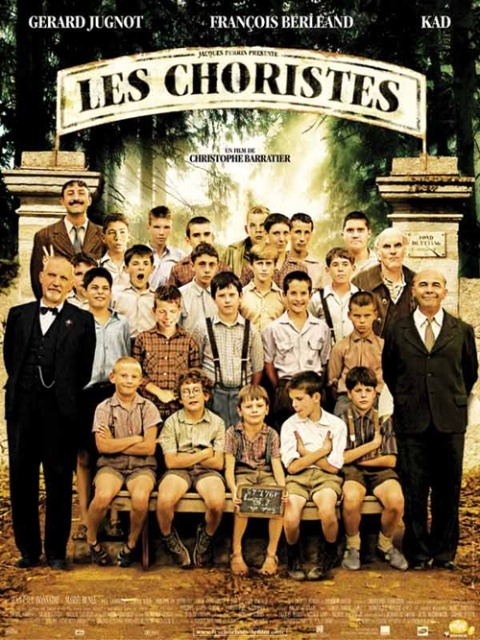 Story: In postwar France of 1949, teacher Clement Mathieu is sent to a rural boys boarding school, where most of the pupils are orphans or illegitimate or abandoned - and harshly treated by headmaster Rachin. It is funded by wealthy benefactors who imagine it as a haven, but is in fact run with punishment as the natural order of things. Mathieu brings with him an altogether different approach, and he gradually wins the trust of the rowdy boys, finally setting up a choir which his sublimated musical skills turn into a fine group. Rachin claims the credit, but Mathieu wins the hearts. Among the boys is one especially gifted natural musician, Morhange, and Mathieu urges his single mother, Violette to send him to music school.